Only three trains an hour run north from this station. It’s just as well the platforms are so gorgeous. Chances are you’re going to do a lot of standing around on them. Passengers wanting to travel south have it much better. They get to pick from around nine trains an hour. No loitering among the beautiful canopies or mooching under the picturesque awnings for them. 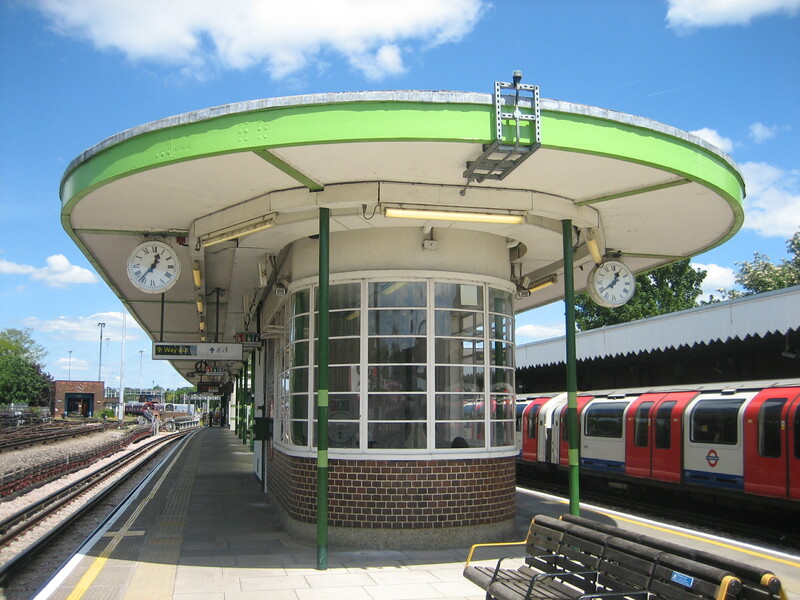 But then if you’re heading south from Hainault you’re going towards central London, and I imagine you haven’t the time for design fripperies, no matter how elegant. If you’re travelling north from here, however, I’d guess you’re more than likely returning from something: work, maybe an excursion, perhaps an appointment or a tryst. 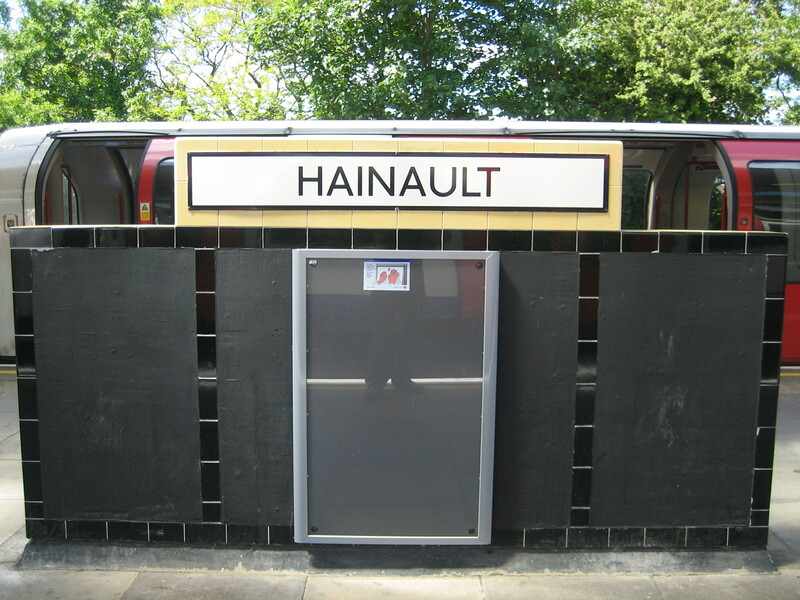 You’re already resigned to your journey lasting as long as it takes, so hey: another quarter-of-an-hour just means more chance to make Hainault while the sun shines. The platforms’ shapely concrete posts and ritzy curves give the discerning (and even the idle) public architecture devotee many reasons to be cheerful. 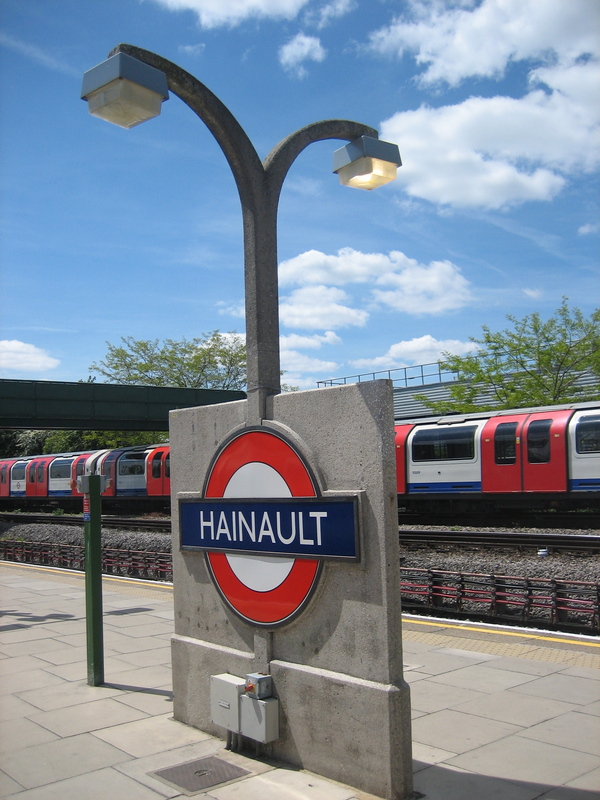 Less pre-disposed towards Hainault is the “Tube challenger“, for whom the place is often the fly in their diagrammatic soup. Mastering the so-called Fairlop Loop on the Central line necessitates picking a train that avoids having to change here, and possibly endure a wait of up to 20 minutes, which certainly won’t help you set a new world record. Hence while there is plenty of scope for a bit of infrastructure ogling, these platforms are also the crucible of a fair few thwarted dreams. Definitely a case of ‘Naults and crosses.